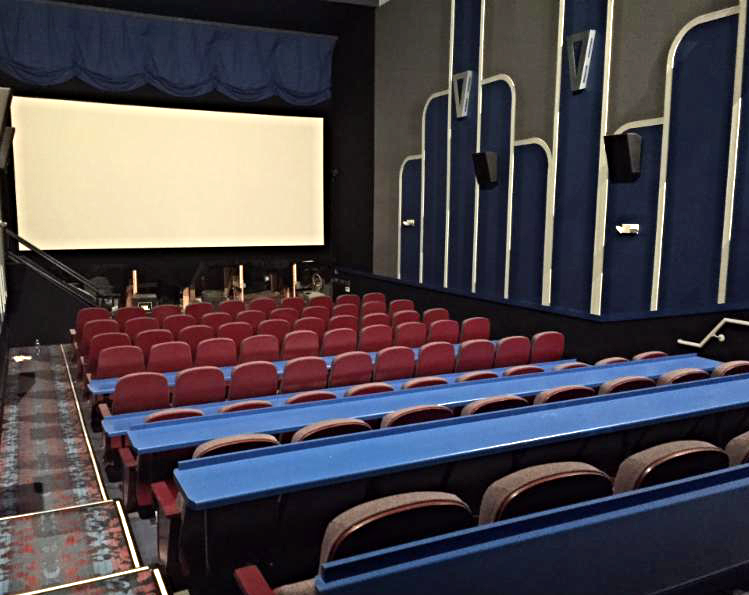 Posted: April 3, 2015 Movie theater opens today! Micon Cinema's Downtown Budget Cinema holds its first showing tonight, Friday, April 3, after being closed for renovations. 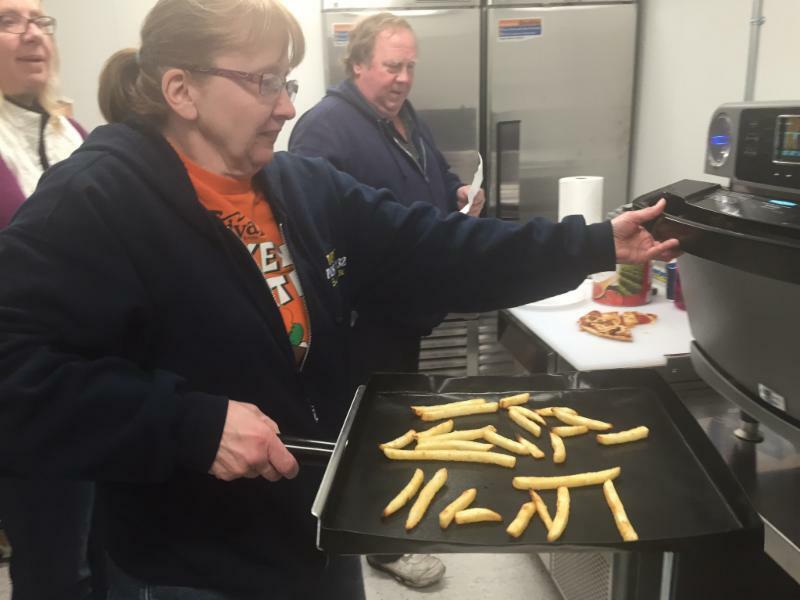 Newly hired kitchen manager Kathy Gravitt tests out the new oven at the Downtown Budget Cinema. Owner Connie Olson says they've doubled the staff to eight with the new kitchen and added services. She also says they'll still use real butter on popcorn and the budget prices will remain. Seating in the new budget theater allows for food to be brought right to movie-watchers' seats. The number of seats were roughly cut in half to about 133 seats, plus tables.